Good Principles Publishing, 9780615582771, 156pp. Six months after his father's passing, Fitzwilliam Darcy still finds solace in his morning reflections at his parents' graves. Only in the quiet solitude of the churchyard does he indulge his grief. None but his unlikely mentor recognize the heartache and insecurity plaguing him as he shoulders the enormous burden of being Master of Pemberley. Not all are pleased with his choice of adviser. Lady Catherine complains Darcy allows him too much influence. Lord Matlock argues, "Who is he to question the God-appointed social order?" But the compassionate wisdom Darcy finds in his counselor keeps him returning for guidance even though it causes him to doubt everything he has been taught.In the midst of his struggles to reinvent himself, his school chum, Charles Bingley, arrives. Darcy hopes the visit will offer some respite from the uproar in his life. 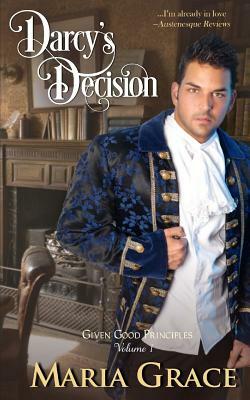 Instead of relief, Darcy discovers his father's darkest secret staring him in the face. Pushed to his limits, Darcy must overcome the issues that ruined his father and, with his friends and mentor at his side, restore his tarnished birthright.